Some of the best deals you ever make will require no extra work on your part whatsoever. I’m talking about the referral. The idea behind a referral is simple: you do a good enough job helping clients with their home financing and they do the selling for you. They recommend your services to a friend or a family member—and that lead arrives to you, already sold on the quality of your work. But if you do great work with reliable service and personal know how, there’s a good chance the ROI on your marketing efforts will increase automatically by way of the word-of-mouth business that comes with a solid product/service. Here’s some ideas on how to fuel it even further. Why are referrals so important in an industry like mortgages? Simple: mortgages are major commitments. People need to work with someone they can trust. According to Nielsen, some 92% of consumers trust recommendations from other people. This is true whether or not they even know the person making the recommendation. That’s the kind of trust that makes a potential lead a much easier sale or conversion. But now you have to think about how you build trust in your audience. The quickest way to ensure that you get more referrals is simple. This is easier said than done. As a mortgage professional, you might sometimes feel like your talents are stretched thin by the demands of your work. In fact, when you have enough clients, it can feel like you don’t have enough time for any individual one. But a good rule of thumb is to develop a routine for following up with and reaching out to individual clients. Try to find the minimal time investments that have a maximum impact on their perception of your services. Over time, this dedication to your client’s satisfaction will lead to them having a positive impression of what you do. And that means more referrals on a long-term basis. It may not happen right away. But over time, you’ll see the results. Maybe you’re already doing this. Maybe you offer referral-worthy services and simply aren’t seeing the results yet. When you consider just how much referring is done on social media these days, for example, you begin to see that referrals still happen—they just happen in a different way. Incorporate social media links on your website. Even something as simple as a Twitter button that allows your customers to share your links on Twitter can have a major impact in how much buzz you generate. Regularly interact with people on social media. Having a presence online helps encourage people to talk about you—where else?—online. And if they’re talking about you and someone needs a referral, it’s far more likely that your services will get remembered. These are simple steps that won’t cut into the time you spend on a weekly basis by any significant means. But the results they can have for your business? Immeasurable. You don’t always have to sit back and wait for referrals to happen. There are people out there who understand just how important referrals are—which is why they reward their customers when they can prove they made a real customer referral. You don’t have to hand out a million prizes for referrals—but you do have to make them a priority if you want better results. That can include anything from the occasional email blast reminding someone to make a referral…to even holding a contest based on referrals. The key point here is understanding that it’s possible to include just a small incentive for a referral to remind people that you’re perfectly happy if they refer a friend or family member. In the mortgage marketing world, you do want to avoid the appearance of tacky marketing techniques for these referrals, and also run things by an attorney to make sure you’re compliant. But simply keeping the idea of a referral fresh in your clients’ mind doesn’t have to be a major sales pitch—even if it yields dividends in a similar way. Many times, the first thing someone does when they hear about you these days…is look you up online. Before they call, before they email, before they even consider you—they have to see for themselves. That means having a web presence, first and foremost. If you don’t have an adequate web presence, then it’s time to update your website and prepare for an influx of new referrals using these tips. That’s why you need to be prepared. The final step? Getting ready for more referrals. After all, a referral won’t be worth much if you can’t convert that referral into a lead. While referrals can sometimes seem like “slam dunk,” you don’t necessarily want to treat them that way. Instead, you’ll want to treat a referral like any other warm lead—the sale isn’t final yet. That means having a well-established sales funnel on your website for people who have been referred to you/your company. 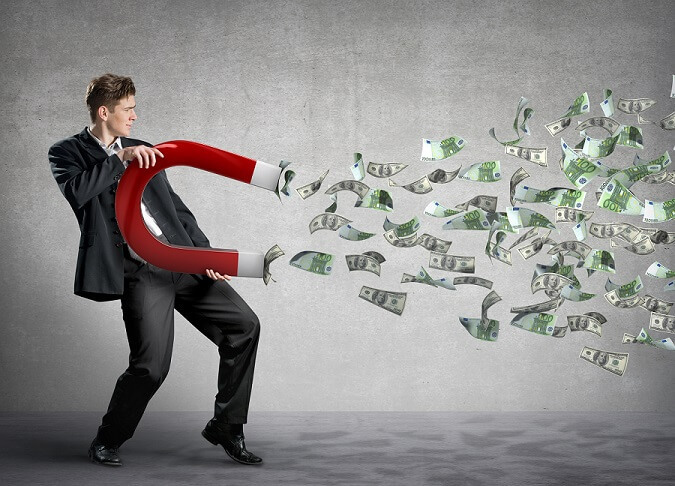 Of course, the topic of building a sales funnel is big enough to warrant a post all its own. The simple lesson here? 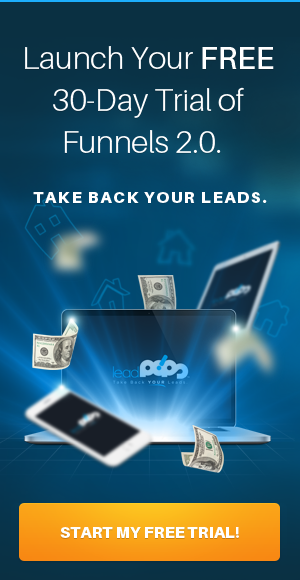 You’ll want to capture those potential leads as if they weren’t referrals. That’s where leadPops can help. 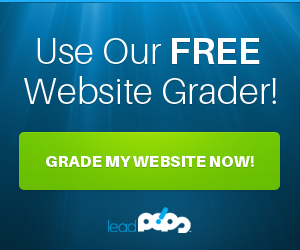 Sign up for a free trial of leadPops today to make the most of referrals—and to build a web presence that starts generating more.